Alex Ferguson retired as Manchester United manager in 2013. 1. Phil Taylor won his 16th World Darts Championship on 1 January but what double did he finish on in the final leg? 2. What became compulsory in all underage grades up to and including minor for Gaelic football matches and practice sessions this month? 3. Which New York Knicks player said “I don’t make no excuses. I should’ve made the shot. I don’t know what to say about that.” after he cost his side a win against the Brooklyn Nets? 4. Wayne Rooney scored twice as Manchester United came from behind to beat Southampton but how many games had Mauricio Pochettino taken charge of with the Saints before the defeat? 5. Which Dublin side beat Dr. Crokes in the AIB All-Ireland Senior Club Championship semi-final? 6. Name this famous American footballer who retired after the Baltimore Ravens won Super Bowl XLVII? 7. Name the two players to score as Ireland beat Poland 2-0 in a friendly at Lansdowne Road? 8. Which world champion boxer and sometime WWE star shares a birthday with Steve Jobs on 24 February? 9. Which of the Kearney brothers scored two tries as Leinster secured a bonus point win over the Dragons in Rodney Parade on 1 March? 10. Luis Suarez scored a hat-trick for Liverpool against Wigan in a 4-0 win, but who opened the scoring for the Reds? 11. Bobs Worth won the Cheltenham Gold Cup this year, but which Irish jockey was on board? 12. St Thomas of Galway won the AIB Senior Club Hurling championship but who did they beat in the final? 13. Name the Spanish defender getting in Robert Lewandowski’s face during their Champions League semi-final? 14. Which defender scored Dublin’s last point as they won their 10th National Football League title by beating Tyrone? 15. Who was Adam Scott’s caddie when he won the Masters in dramatic style? 16. Auroras Encore won the Aintree Grand National at odds of a) 6/1 b) 16/1 or 66/1? 17. Who did London beat by 1-12 to 0-14 on 26 May to secure their first win in the Connacht Championship in 36 years? 18. How many points did Jonny Wilkinson kick as Toulon beat Clermont in the Heineken Cup final? 19. Arjen Robben’s 89th minute winner brought Bayern Munich Champions League glory in May but how many European Cups have they won? 20. Which club won the 2013 Setanta Sports Cup with a win over Drogheda United? 21. 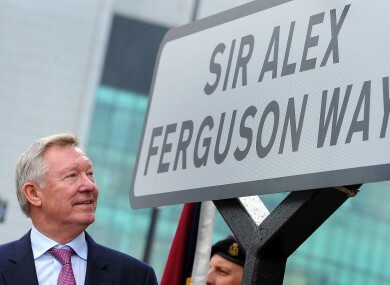 Alex Ferguson retired this month but name the last club he managed before Manchester United? 22. Whose shot was the subject of the first ever Hawk-Eye review in Croke Park during the Leinster football quarter-final clash between Kildare and Offaly? 23. Name the Australian player whose slip when attempting a penalty cost them the first Test versus the Lions? 24. Manchester City signed Fernandinho for £30m on 6 June but from which club? 25. England’s Paul Casey won the 2013 Irish Open but who finished best of the Irish golfers? 26. Name the Waterford athlete who won four gold medals — in the long jump, 100 and 200 metres, as well as 4×100 metres relay — at the National Track & Field Championships this month? 27. Name the Irish cyclist who won stage nine of the Tour de France on 7 July? 28. Limerick beat Cork to win the Munster Hurling Championship for the first time since 1996 but where was the game played? 29. Phil Mickelson won the Open Championship at Muirfield but what was his winning score? 30. Which team won the 2013 Super Rugby Final on 3 August? 31. Europe came out on top at the Solheim Cup but which Swedish golfer had the competition’s first ever hole-in-one? 32. Name this Chelsea player who missed a penalty to gift Bayern Munich the European Super Cup? 33. Which Monaghan player did Sean Cavanagh foul that lead to Joe Brolly’s ‘”you can forget about him as a man” rant? 34. Sweden beat Ireland 2-1 in Lansdowne Road on 6 September but who scored Ireland’s opener? 35. Which club won the Aussie Rules grand final this month? 36. How many touchdown passes did Peyton Manning throw against the Baltimore Ravens in the opening game of the NFL season? 37. Who scored Clare’s equalising point at the end of the drawn All-Ireland Senior Hurling final? 38. The Boston Red Sox won baseball’s World Series this month but by what score? 39. Which caretaker manager infamously told RTÉ “this conversation is incorrect”? 40. Who won the Indian Grand Prix on 27 October and secured his fourth Drivers Championship in as many years? 41. Manchester City’s Joe Hart was dropped after a mistake against which Premier League team on 27 October? 42. Which county was awarded a pair of football All-Stars for the first time in 25 years this month? 43. Who scored the last-gasp try to give New Zealand victory over Ireland in their November International? 44. Fiorente won the 2013 Melbourne Cup, but what was the name of the only Irish-trained horse (pictured below) in the race? 45. Which team won the 2013 Rugby League World Cup this month? 46. Which Carlow side won the Leinster Senior Club Hurling Championship on 1 December? 47. Bayern Munich won the FIFA Club World Cup, but in what country did it take place? 48. Who scored Connacht’s try as they defeated Toulouse at the Stade Ernest Wallon in the Heineken Cup? 49. Which legendary UFC fighter broke his leg fighting Chris Weidman at UFC 168? 50. Can you name the Ireland rugby star who tweeted this image in advance of his Christmas party? Find all the answers here. How did you do? What was it like to hit the most famous hurling point of 2013? Email “TheScore.ie’s Big Fat Quiz of the Year”. Feedback on “TheScore.ie’s Big Fat Quiz of the Year”.